South Africa and Zimbabwe will compete for the 3rd match of ICC ODI cricket world cup 2015 on 15th February 2015. This is a pool B match and it will be played at Seddon Park, Hamilton New Zealand. 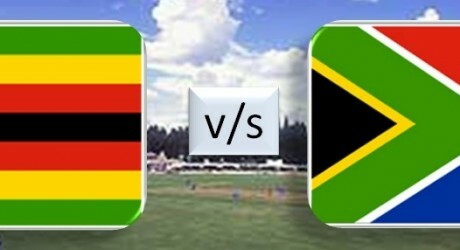 South Africa is a world-class team while the performance of Zimbabwe is on the lower side for quite some time and the match is expected to be a one-sided encounter in favor of South Africa. The match will start at 14:00 local time and 6:00 PKT and at this time it will be telecast live on PTV Sports in Pakistan.